Under the Bulgarian Corporate Law foreign nationals are allowed to remotely register a Limited Liability Partnership OOD company in Bulgaria by granting power-of-attorney to a Bulgarian Law firm. The lawyers at Markony Immigration Services, LLP will work with you to remotely register your Bulgarian Limited Liability Partnership OOD company for only EUR 399. The OOD is a company designation in which the shareholders liability to creditors is limited to the amount of capital invested in the company. Liability does not extend to the shareholders assets. We recommend this designation for joint venture where one of the owners is a foreign national, and the other is a Bulgarian national. The only difference between the Limited Liability Partnership OOD company and the Single Person Private Limited EOOD company is the number of shareholders. The Partnership company is limited liability company with two or more shareholders. • All registration and lawyer fees. • International delivery of all documents. • Opening of a company bank account (at a bank of your choice) for deposit of the initial required capital. • Registration of the company at the Bulgarian Commercial Register. • Preparation of the company’s official seal. *The Bulgarian Limited Liability Partnership OOD company is registered within 24 hours on receiving an attested power of attorney. Pursuant to the Bulgarian Company Act, the minimum share capital required for the registration of a OOD company is 4 BGN Levs (EUR 2). 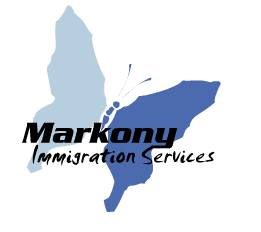 Markony Immigration Services, LLP will provide this. **The nominated director is authorized to prepare business invitation letters for the shareholders of the company.